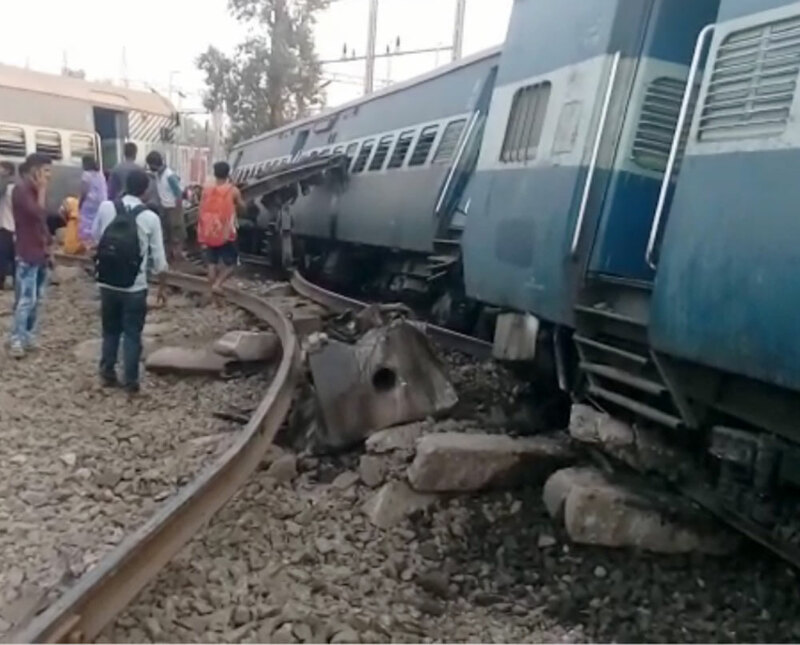 Rae Bareli: At least four people were killed as five coaches and the engine of the New Farakka Express (14003) derailed near Rae Bareli in Uttar Pradesh on Wednesday, Northern Railway Divisional Railway Manager Satish Kumar said. The accident took place near Harchandpur in Rae Bareli district at around 6.05 am, he said. A team of doctors in an Accident Relief Medical Van has been rushed to the site in Lucknow and emergency helpline numbers have been set up at the Deen Dayal Upadhyaya junction for passengers of the Farakka Express, officials said. Taking note of the incident, Chief Minister Yogi Adityanath directed the district magistrate, the superintendent of police, health authorities and the NDRF to provide all possible assistance to relief and rescue operations for survivors from the Farakka Express, an official spokesman said.